Application Layer which define the service call flow logic. Media Control Server (MCS) which is responsible for resource utilization and call routing. Media Control Unit (MCU) which is a Unit responsible for controlling a specific technology resource provider (Telecom board, Speech Engine…). For each supported technology, there is a specific MCU. Integrated Graphical Application Designer with powerful embedded programing language. 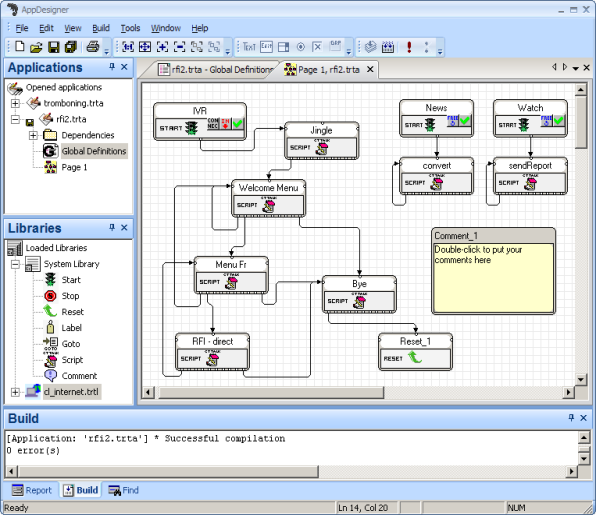 Integrated Administration and management tool (Big Browser). Voice Browser Engine with support for VXML 2.1 and CCXML 1.0. SS7-ISUP, TUP, ISDN, CAS protocols. Voice over IP, SIP, H323. 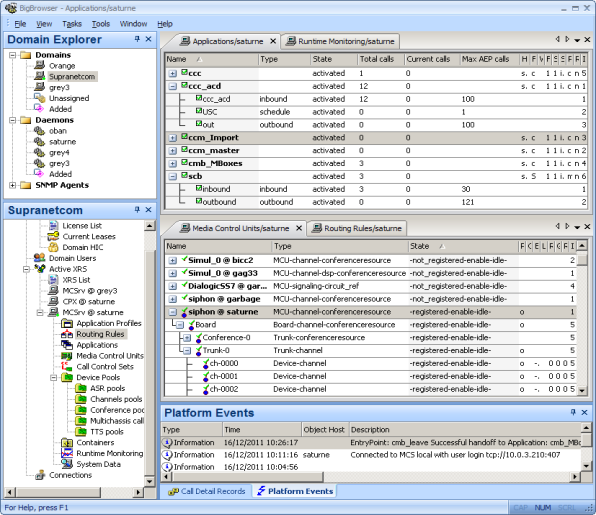 Integrated native database access for Oracle, MSSQL, MySQL, ODBC driver.